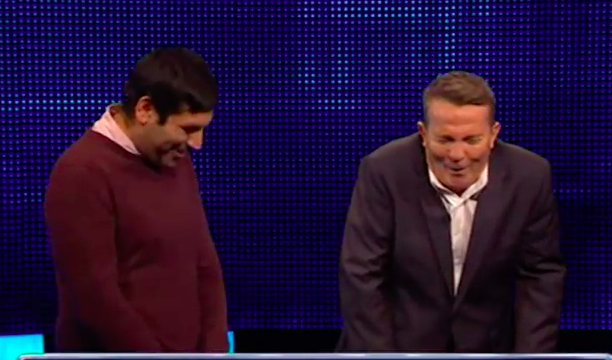 Paul Sinha – aka ‘The Sinnerman’ – ‘stormed off’ after getting a question completely wrong on The Chase. During the popular ITV quiz show, Sinha – who’s also a comedian as well as being a ‘Chaser’ – having already got one of the questions wrong, got up and walked off. Presenter Bradley Walsh found the whole thing very funny and begged him to come back to finish the round. The Golden Spikes award is presented to the best amateur player in what American sport? The three multiple choice answers were: Baseball, Ice hockey, or Basketball. Contestant Dean went wrong with ice hockey, before it was revealed The Sinnerman had made an epic mistake as well – opting for basketball. He did, of course, return to his seat to continue, and ended up catching Dean, stopping him from going through to the final round. 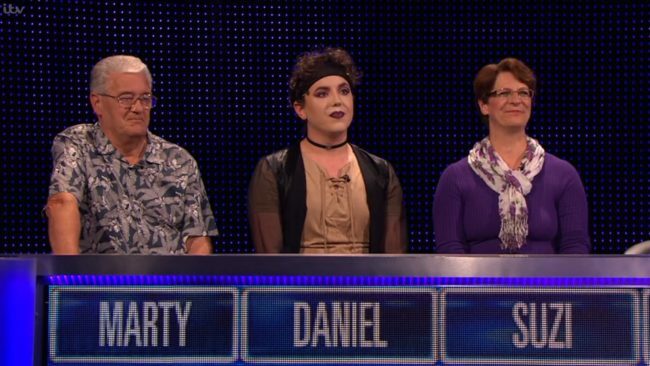 The Chase recently welcomed 24-year-old contestant Daniel, a drag queen from Cheshire, which didn’t go down well with some closed-minded idiots individuals. I work in events as my boring day job, and I’m also a fabulous drag queen. As most do, people took to Twitter to say they thought it was ‘irresponsible’ to feature a drag queen on a ‘family show’. Ok, sure. I can’t fathom the mentality of those genuinely angry about a drag queen on #thechase. We have always been inclusive. l really think it is mischievous and highly irresponsible of ITV to allow people of this sort to appear on a family show. I feel quite disgusted. Oh, don’t be such a sad f*cker. Last month, viewers of The Chase were absolutely convinced the show was ‘fixed’ in order for a record-breaking jackpot of £60,000 to be lost. 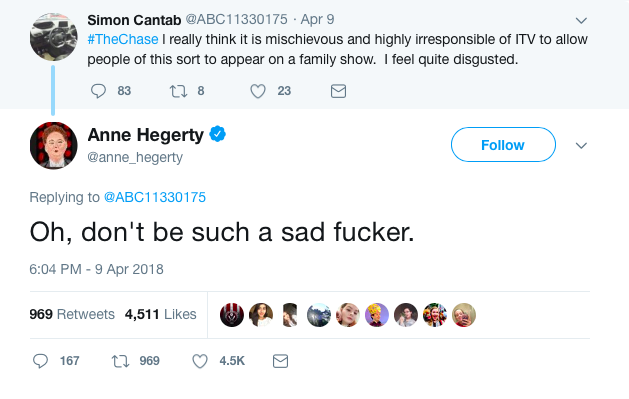 Hundreds turned their attention to social media to point out the error in the show, which meant Hegarty deprived the contestants of the massive haul of money. 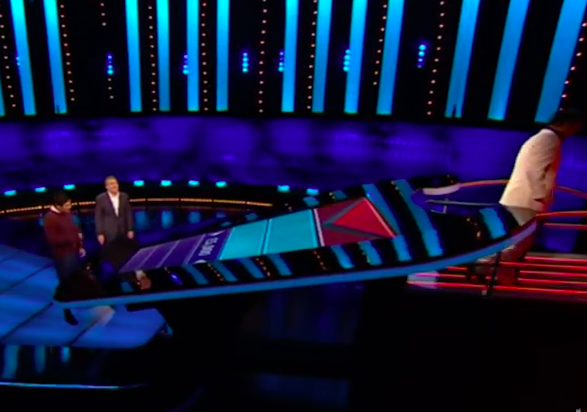 If you weren’t aware, fans of The Chase take the whole thing very seriously – if somebody takes a minus offer, it kicks off – if you know, you know. Anyway, the controversy was centred around the timer, which seemed to pass unevenly during the final chase for the jackpot. In the final moments of the timer, The Hegarty was asked about blue spiders and which continent they were native to. Yet if you look at the clock, you’ll see the timer seems to stay on 0.01 for quite a bit longer than one second, giving her time to answer.